Seek out a secret deserted island! Sea kayaking – the perfect summer memory. The sea kayaking plan takes you around the stunning blue seas of Amakusa! 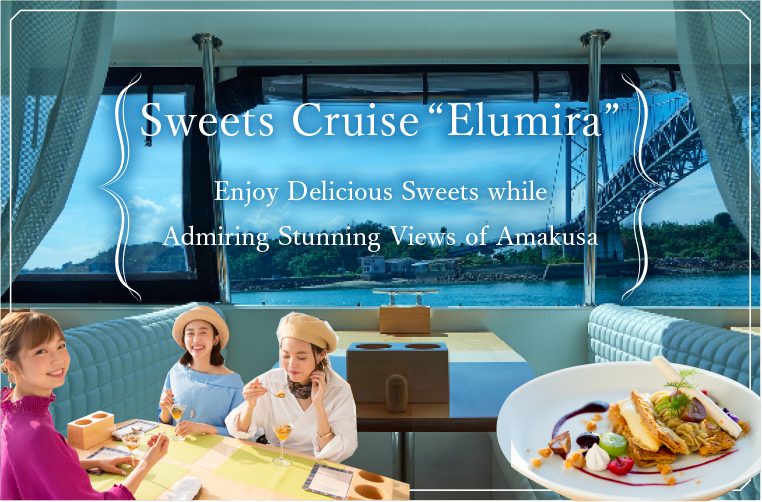 Kind and informative instructors are your guide to an exhilarating trip to the secret uninhabited islands of Amakusa. 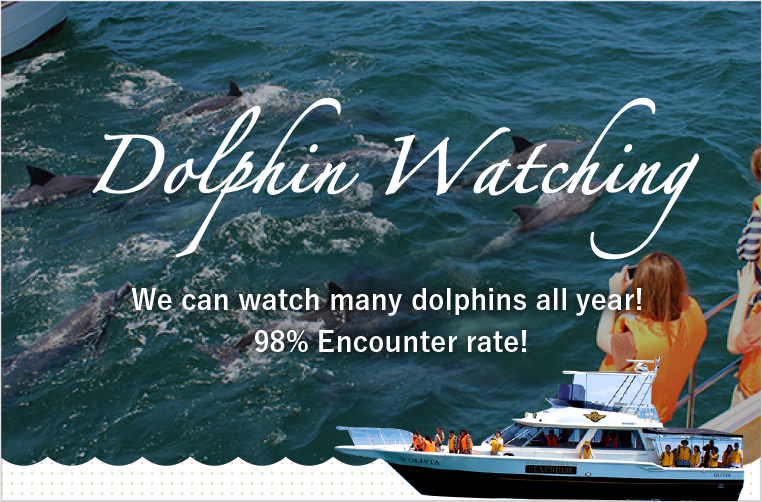 You can even set foot on the islands, or take part in a snorkeling experience. 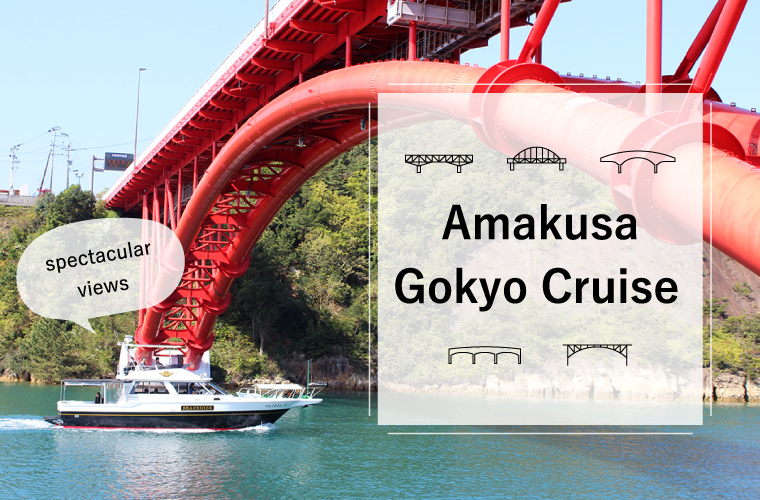 This summer, kayak in Amakusa! * The displayed price is for one person's tour expenses (including tax). * The cost of insurance and the rental of kayaking equipment is included in the price. Please bring a swimsuit, towel, and shoes that can get wet (sandals not allowed). Events may be postponed due to unfavorable weather (such as typhoons or heavy rain). The decision to postpone is left to the judgement of the instructors. Bank transfer to the designated financial institution. * Transfer of payment is required by three days prior to attending the tour (excluding Saturdays and Sundays). Please contact us prior to payment with the time you would like the tour experience. Please make sure to read the travel conditions before applying. Telephone & Fax: 0969-56-2993 Reception Hours: 8:30 a.m. – 5:00 p.m.
Two months up to three days prior to the tour excursion. The exhilaration of skating on the surface of the sea! Even first-timers can give it a try! Wakeboarding is the hot marine sport right now. The exhilaration of skating on the surface of the sea while being pulled by a boat is like none other! One set of wakeboarding (15 minutes) may seem short, but it is plenty of time for beginners. Even for beginners, the probability of successfully standing after receiving kind and careful lessons from our instructors is 85% for men, and 90% for women. 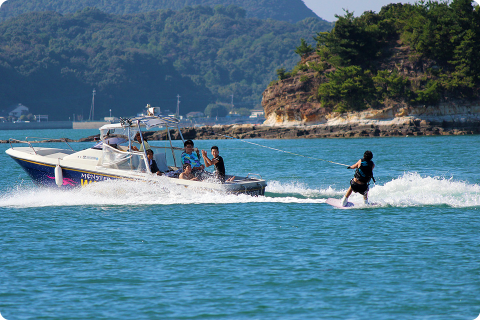 The Marine Sports Pack includes wakeboarding and the popular (10 minute) banana boat experience. Try it out as a couple, or in groups! * The cost of insurance and the rental of wakeboarding equipment is included in the price. 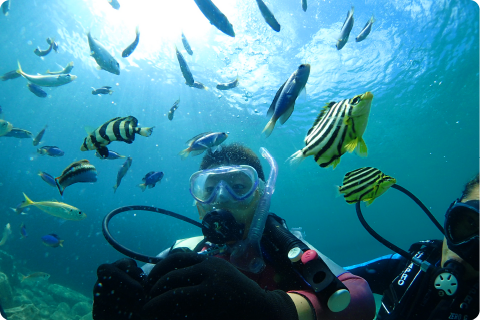 In this highly clear water, you can come in contact with beautiful coral and tropical fish! The Diving Plan allows you to enjoy the stunningly clear water of Amakusa. Corals are clustered around the western shore of Amakusa, and tropical fish swim in these most prominent diving spots of Kyushu. This is beginner-level diving, so even those with no experience (and no license is necessary) can participate with peace of mind. * The price includes insurance, lunch during diving, and rental of diving equipment. * Diving reservations can be made for those in middle school or older. * The price includes insurance, lunch during diving, and rental of diving equipment. 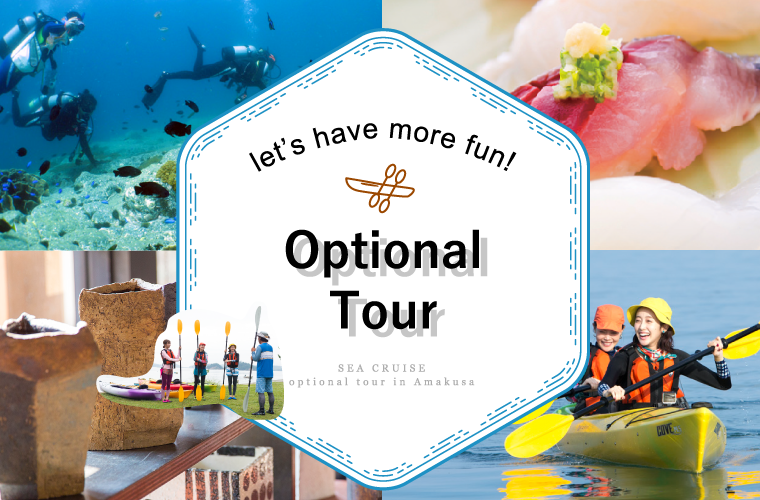 * Diving reservations can be made for those in middle school or older.